Are you looking for the best case that protects Nokia 8 a well while adding style factor to your smartphone? 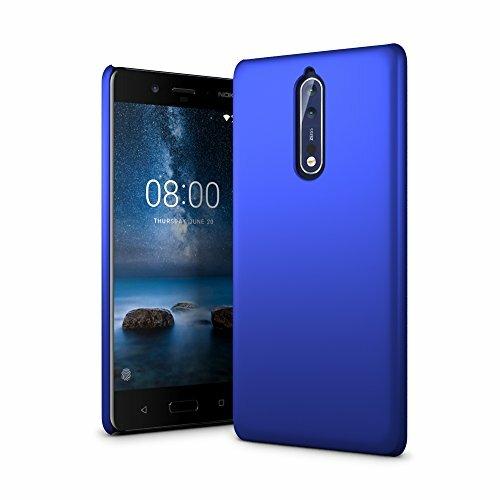 Check out our list of best cases for Nokia 8 and find various kinds of cases for it and protect your smartphone with style. The smartphone Nokia 8 is one famous flagship from the brand. While the brand has already announced the smartphone the phone is getting a pretty good review of its functionality. This phone contains fantastic functions such as this phone is IP54 certified which means this makes the phone splash proof thanks to the aluminum body and glass front. However, protecting the phone from other impacts essential. Luckily, we have tested over 15 of the cases for Nokia 8 smartphone. Out of them, we picked up some of the cases which qualities such as scratch resistant, clear, ultra-thin, flip, kickstand, flexible, and a few more. Let’s check the list of best Nokia 8 Cases. After testing 15 of the cases for Nokia 8, this one gets all the small things right. TUDIA’s Nokia 8 Slim Fit Case maintains all the excellent functionality that one is looking for. With this first top pick of ours, we picked it for many folks who love to keep their phone slim yet protective. It has the dual-layer design of premium PC and TPU material. This one is lightweight and gives form-fitted protection layer. The snap-on design of this case makes installation easy. The raised edges for screen protection and precise cuts for phone functions. Dual layer design of premium PC and TPU material. Lightweight and form fitted protection layer. Snap-on design makes an easy installation. Raised edges for screen protection. Precise cuts for phone functions. Matter look makes it attractive. 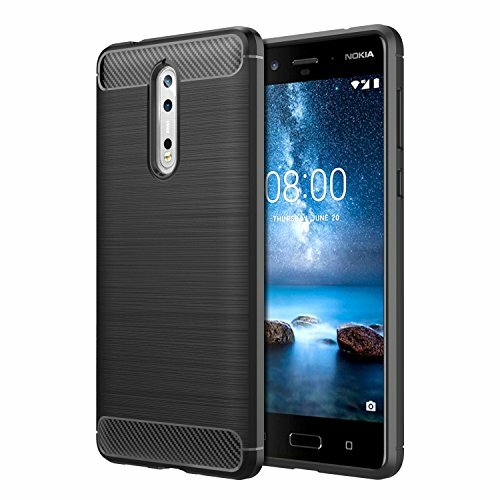 Moko’s Scratch Resistant Case for Nokia 8 is the one-piece flexible case that makes case real better with the combination of two different material. Even though the case is made of two material, the case stays light in weight and quite slim, too. This single piece case has the construction of soft, flexible and shock-absorbing TPU material. It has a built-in weblike texture for heat dissipation. The PU leather pattern on the back is there for luxurious design. It even comes with precise cutouts. Soft, flexible and shock-absorbing TPU material construction. Built-in weblike texture for heat dissipation. PU leather pattern for luxurious design. 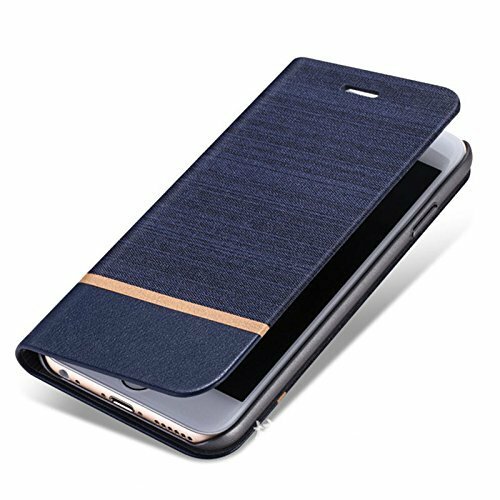 For those whose in love with the beauty of their smartphone, this top pick from CoverON is for them. 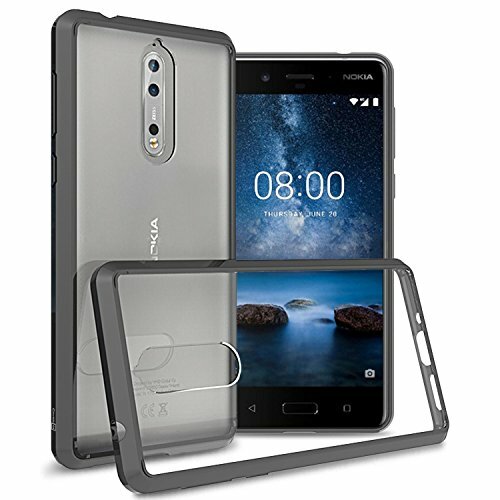 This Clear Case for Nokia 8 allows the user to flaunt their smartphone’s beauty while still adding protection layer to it. The ultra-clear PC back and semi-flexible TPU bumpers. This case maintains fully transparent clear hard back that shows off the beauty of the Nokia 8. It is a perfect fit for Nokia 8 and defends it from scratches and drops. It even includes 90-days warranty. Ultra clear PC back and semi-flexible TPU bumpers. Fully transparent clear hard back. Perfect fit for Nokia 8. Defends from scratches and drops. Way too snug to take off. When it comes to protection layer to the phone, most of the people value the slimness above all else. You need something that makes it feel as if you aren’t using any case for you Nokia 8. This Best Nokia 8 Ultra-Thin Case from Anccer is one great option. 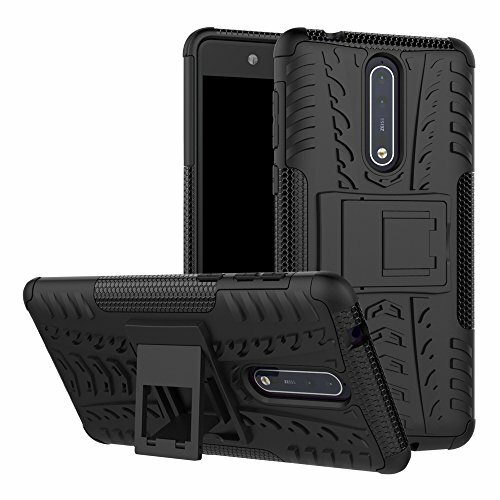 This case has advanced PC construction that also offers luxurious look for Nokia 8. This case withstands bumps, drops, and shocks. It contains 0.3mm thicken hole design for camera lens protection with accurate precision. A luxurious look for Nokia 8. Withstand bumps, drops, and shocks. 3mm thicken hole design for camera lens protection. 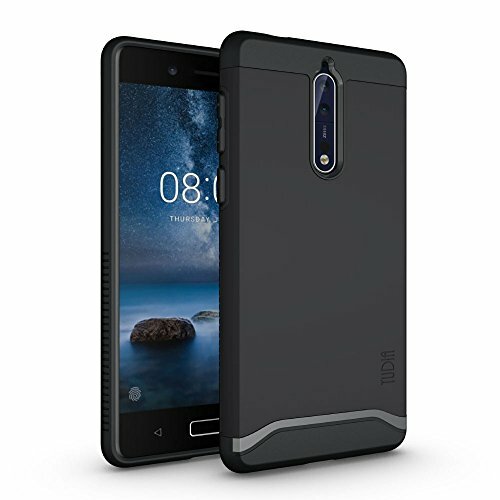 This inexpensive case from Coverl offers all the protective elements which you might want in your case for Nokia 8. 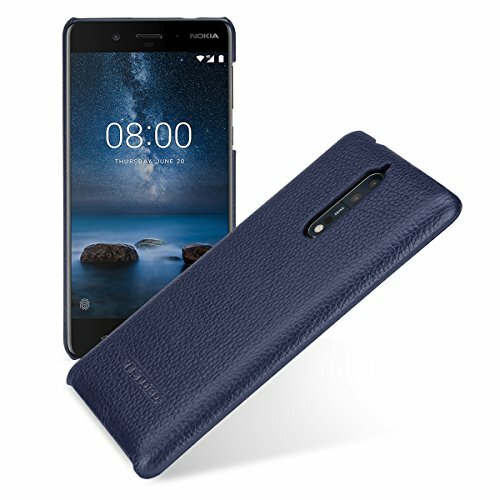 This Flip Cover Case for Nokia 8, even looks better besides being only less price tag. The brand also offers various functions in a case. This flip-folio wallet case offers 360-degree protection to the phone. It provides PU leather exterior along with TPU inner casing with bumper corners. Besides only that this case contains precise hole site design for phone functions. 360-degree protection to the phone. TPU inner casing with bumper corners. Precise hole site design for phone functions. Want to ditch a case that only offers protection layer nothing else than that? You should have a case that provides protection layer along with your hands’ comfort and for that kickstand case is the best option. This Nokia 8 Kickstand Case is one those case. This case contains shock absorption TPU interior and impact-resistant PC exterior. This case delivers outstanding protection from drops and dents. It has built-in kickstand function and reinforces vulnerable corners with additional side grips. Outstanding protection from drops and dents. Reinforces vulnerable corners with additional side grips. 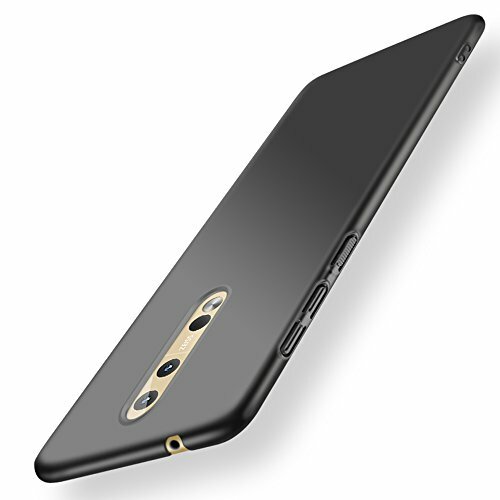 If the excellent hand feeling and slim profile design case are what you want, you can have this one Nokia 8 Case for your phone. This case from MoKo is an excellent pick with some excellent compatibility to protect your phone well. This case contains soft, shock-absorbing and flexible TPU construction. It offers adequate protection from shocks, bumps, and drops. There is even heat dissipation with weblike texture at inner back. It contains carbon fiber pattern with wiredrawing design and precise cuts and openings. Soft, shock-absorbing and flexible TPU construction. Effective protection from shocks, bumps, and drops. Heat dissipation with weblike texture at inner back. Carbon fiber pattern with a wiredrawing design. The Nokia 8 Thin Case from SLEO is the best pick for this smartphone. It is entirely different from other cases listed here, and we tested because the case is entirely slim profile case. And moreover, the case offers reliable protection as well. This PC plastic case comes with premium SF coating. It contains soft and smooth feel exterior as well for the extra protective layer. It has a non-slip matte surface with excellent grip. This case is super slim design for perfect fit. Soft and smooth feel exterior. Non-slip matte surface with excellent grip. Super slim design for perfect fit. Adds minimal bulk to the phone. Besides keeping your phone only slim and protective, there are various options to have other factors in a case for Nokia 8. 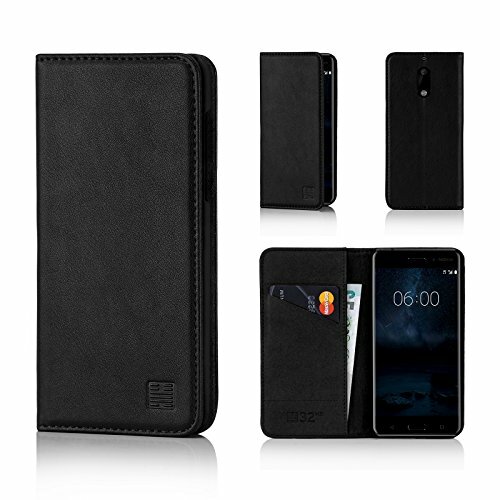 So if you are not afraid of the bulkiness of the case, then having good Leather Wallet Case for Nokia 8 is a functional pick. This is a classic real leather design case, which offers one card slot and a cash compartment. It contains magnetic closure to keep phone safe and secure. This case is compatible to provide 360-degree protection. It protects phone pretty all the impacts. Classic real leather design case. One card slot and a cash compartment. Magnetic closure to keep phone safe and secure. Protects phone pretty all the impacts. Complete protective option for Nokia 8. Excellently tailored stitches on sides. With another top pick of leather case, we are here listing option for you to keep your phone safe while adding no bulk to the phone. 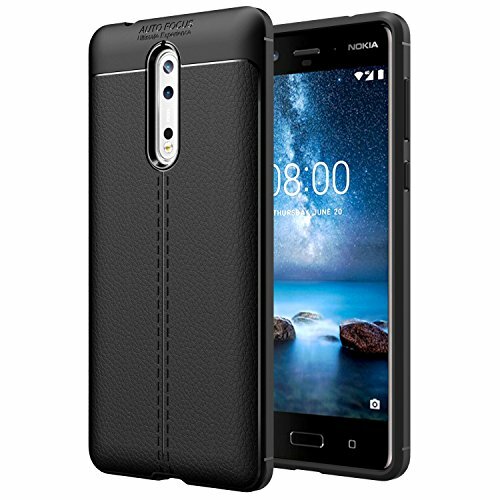 However, this Nokia 8 Leather Case is not much protective at all, but for many of the folks, this option is a great pick to keep the phone slim. This case contains cow-high leather and durable Microfiber construction. It provides stylish design and offers excellent protection. It is easy to hold in hand and even have a pocket-friendly design. It is perfect fit, luxurious looking and durable case. It has a slim and light-weight profile. Cow-high leather and durable Microfiber construction. Stylish design offers excellent protection. Easy to hold in hand. Perfect fit, luxurious looking and durable construction. Which one of these cases would be your pick for your Nokia 8 smartphone? Or have you already picked one for it? Tell us about it and don’t forget to share your experience with us.